Here, at Cliona’s Foundation, we are excited that our 9th Annual Celebratory Night is just ONE WEEK away! Taking place at Bulgaden Castle, Co. 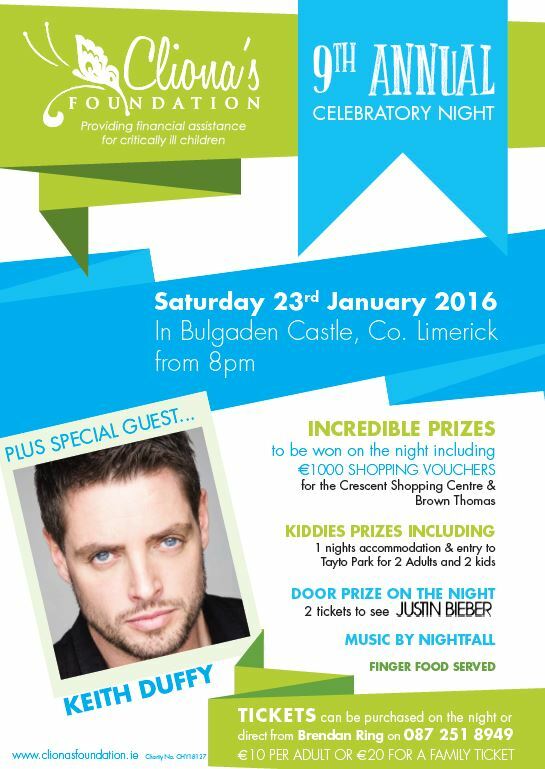 Limerick, on Saturday 23rd of January at 8pm, our annual night is a great event for all the family. There is live music, a giant raffle, plenty of refreshments and special guest appearances. We hope you will join us in the celebrations, tickets available to pre-order; €10pp or €20 for a family. Ticket includes entry to the door raffle, plenty of entertainment and tasty refreshments.